Lesley and Dave both grew up camping and fishing the Eastern Sierra's of California with their respective families. Prior to meeting Dave, Lesley was an accomplished backpacker, with multiple thru hikes of the John Muir Trail and she completed the 550 mile Camio de Santiago in Spain. 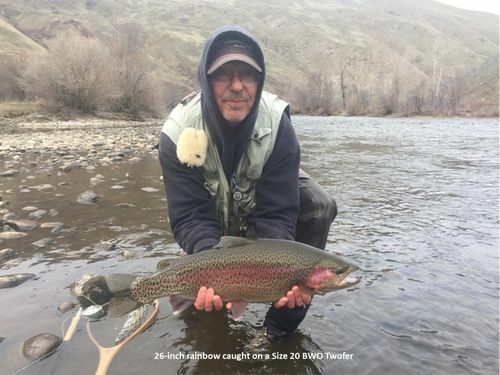 Dave is a competition fly angler and has competed in multiple international competitions and was a competing member of the Professional Fly Angler tour. Dave takes the experience from competition angling and utilizes it in his guiding service and teaching sessions. Despite fishing all her life, Lesley had never fly fished, but Dave introduced her to the sport. On Lesley's first cast fly fishing, she perfectly set the hook and landed a 12" Brown trout. She's been hooked ever since. 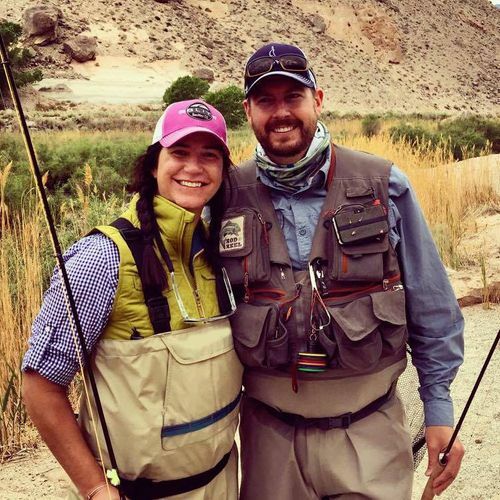 Dave and Lesley love traveling the United States and the World chasing fish on a fly rod. They even spent their honeymoon chasing bonefish, tarpon and permit in Belize. When they aren't out catching fish, both enjoy tying and designing flies, being ambassadors for the sport and building their own custom fly rods. Frank Burr learned fly fishing and fly tying in summer school at the early age of 7. A native of Southern California, Frank fly fishes throughout the state. Although Trout is his favorite species, he will fly fish for any species just to get in a day of fishing. Frank has worked in the fly fishing industry for the past 5 years and is also a fly fishing, fly tying, and casting instructor. 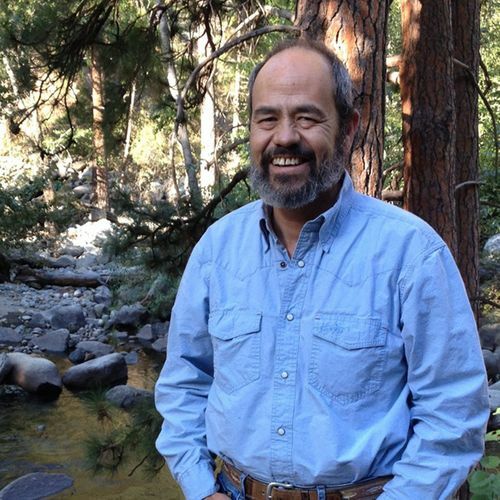 Also a fly fishing guide, mainly in the Easter Sierra, Frank targets his guiding for CDFW Heritage Trout and Angler Passport programs to help anglers obtain those awards. Frank also spends time each year donating his help to youth programs and Trout in the Classroom to help educate youths in fly fishing and related subjects. 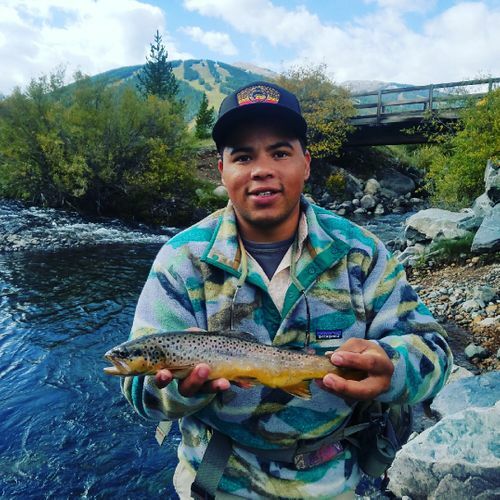 Jalen, also known as the fish whisperer, is a young yet avid fly fisherman born and raised in the Colorado Rockies. Currently living in Southern California, he has taken a break from fresh water fly fishing and has been able to dabble in shore fishing, chasing many different salt water species! His favorite salt water fish to catch is Halibut and bone fish and his favorite fresh water fish to catch is Brook Trout and Cutthroat. Jalen has a knack for teaching others how to fly fish and loves passing his skills and knowledge around for everyone to thrive from. Justin Bubenik was born and raised just outside of Portland, Oregon where he grew up fishing the Deschutes, Clackamas and Sandy River for steelhead and the multitude of local lakes and streams for trout. Following his initial introduction to fly fishing in the high mountain lakes of Oregon at the age of 8, he hasn't turned back. After receiving his undergraduate degree from North Caroline State University, Justin moved to Los Angeles to purse his Juris Doctorate at the University of Southern California. Since moving to California, Justin has been exploring the local fresh and salt waters, taking regular backpacking trips into the Sierras in search of trout and breathtaking scenery, and pursuing his other passion of upland bird hunting. During the workweek, Justin is an attorney at a law firm in Downtown Los Angeles with a practice focusing on real estate law. Nate Brumley is the owner of Dry Fly Innovations, and author of two new cutting-edge dry fly books: Addicted to the Rise and Winter on a Dry Fly. The only bugs sold at his company are dry flies and he’s mastered the use of them in all seasons over all bodies of fresh water. Nate has never sunk a nymph or fished a streamer. His offering is 50 plus years' experience fishing a dry fly exclusively. Brumley's tying sessions introduce dynamic new fly patterns. His presentations are rich in dry fly techniques that include video to connect the concepts. These demonstrations are some of the most sought-after events in the industry at present and his breadth of knowledge is truly phenomenal. It's been said that one hour with Nate is like gaining 10 years of dry fly experience. Should you have the opportunity, attend one of his tying sessions, presentations, or classes...it will change the way you dry fly fish forever.